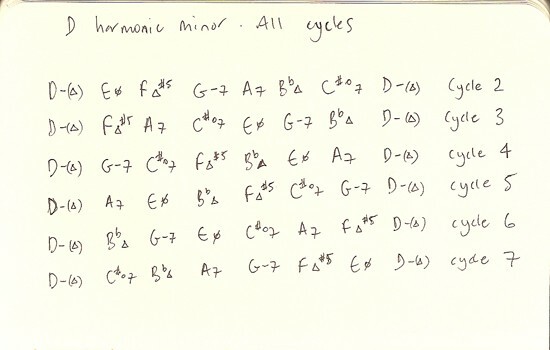 Harmonic Cycles using the D Harmonic Minor scale. Try voice-leading, but today, why don’t you try to arpeggiate all these chords somehow? Maybe sweep-pick them in root position, one note per string. Cycle 2 and 7 will be the easiest, and the others will have you melting the fretboard à la Eugene Martone.